The French Impressionists broke with many 19th-century artistic traditions in their style and choice of subject matter, but they also crossed an important social barrier by admitting women to their circle. Mary Cassatt was one of them (Berthe Morisot was the other), and Mary was not even French. An exhibit at the Mona Bismarck American Center for Art and Culture offers an intimate view of Cassatt’s drawings, etchings, aquatints and pastels. Many of these works from the private collection of Ambroise Vollard have never before been seen in public. This is also a chance to step into a gem of a private house facing the Seine with a stunning view of the Eiffel Tower. The center opened in 2011, made possible by the legacy of a beautiful and wealthy woman who started life as Mona Strader in Kentucky. She was celebrated in 1920s society as the glamorous Mrs. Harrison Williams and, after the death of her first husband, married the grandson of the German chancellor and became a countess. Mona Bismarck American Center for Art and Culture, in the 16th Arrondissement. 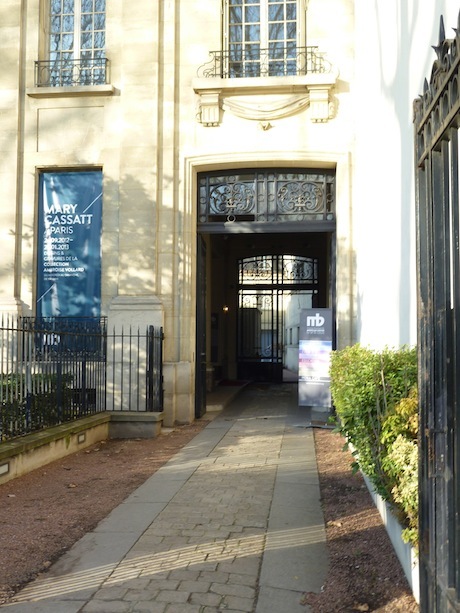 At her graceful Paris town house, you can enjoy a simple lunch in a room overlooking a courtyard garden before viewing the Cassatt exhibition, which occupies three spacious rooms on the ground floor. But hurry, the show closes on January 20, 2013. 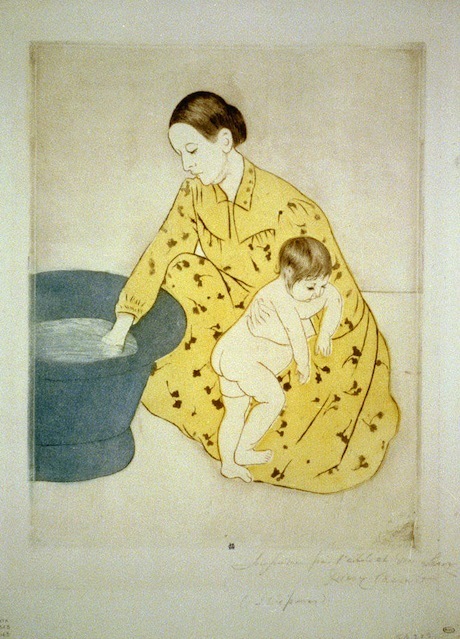 Most of the works on view were never intended for sale, and represent Mary Cassatt’s personal experiments with printmaking and other techniques. In 1890, Cassatt had attended a showing of Japanese prints and been exhilarated by their clean lines and graceful proportions. In her own compositions, she applied the same approach to 19th-century domestic life, with delightful results. Cassatt never stopped trying to perfect her technique. She often reworked a particular composition in several ways, and the exhibit includes varying versions of certain images. Her vision is unsentimental, and the women in the pictures are thoughtful, seemingly absorbed in their tasks and their own inner lives. The Bath by Mary Cassatt. One room is devoted to counterproofs—an unusual technique in which the artist takes a rubbing of a freshly completed pastel artwork, creating a mirror impression. The results are softer and lighter than the original. Cassatt’s counterproofs on display are mostly portraits, and the technique complements the serious faces of the women and children Mary Cassatt knew. Of all the pictures in the show, my personal favorite is one that is less typical of Cassatt’s work. 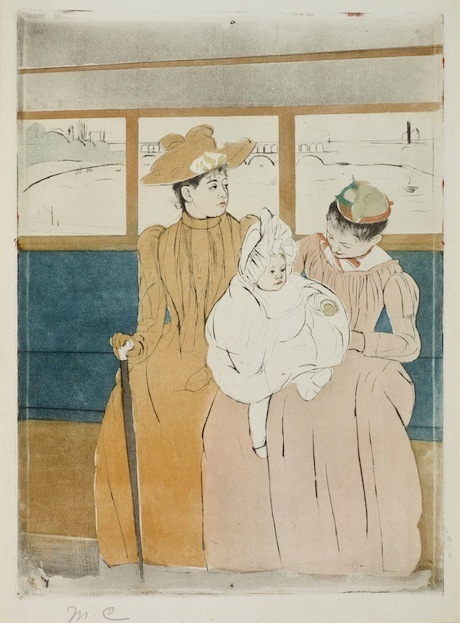 In the Omnibus shows two women, one of whom is holding a child, seated on a bench in a tram that is crossing a Paris bridge. Through the windows, one can see the Seine and glimpse the now-vanished viaduct at Point du Jour. Most of Cassatt’s work is intensely focused on interiors—drawing rooms, bedrooms, opera boxes—so the view from the omnibus is unusual. 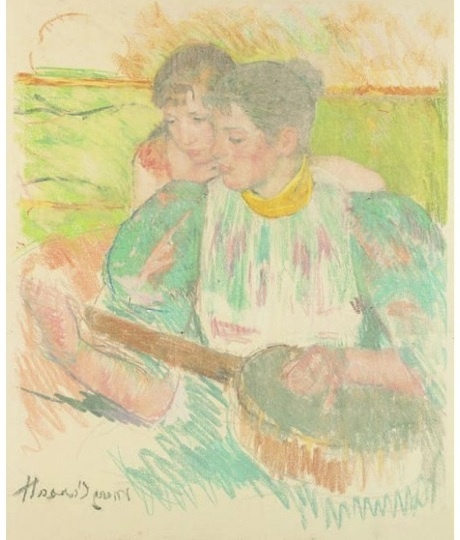 The Banjo Lesson by Mary Cassatt. After viewing the Cassatt exhibit, climb the gracefully curving staircase to the upper floor, which offers a minishow called Homage to Edward Hopper. This one-room exhibit is timed to coincide with the major Hopper retrospective at the Grand Palais. The artists and partners Christophe Clark and Virginie Pougnaud have reproduced some of Hopper’s iconic paintings with live models in re-created settings. 34, avenue de New York, in the 16th Arrondissement. Open Wed–Sun, 11 a.m.–6 p.m.
Editor’s note: We have a bunch of new Paris walking tours available for do-it-yourselfers. Check them out!